If you were to scan MLS listings in many parts of the country, you might not even know that the real estate market (and the whole economy) was in free fall only ten years ago. In many cities, especially, the housing market has not only recovered, but has returned to boom times with homeowners selling houses at a profit and moving up, and investors remodeling older homes and flipping them. Still, for investors who are seeking rental properties or first-time home buyers who are looking for a great deal on a starter house, short sale homes, foreclosed homes and bank owned homes still represent a great value in real estate. It’s important, however, to know what you’re getting into before you get too far along on the deal. A short sale means that the borrower is in trouble – he’s in default on the note and (in many cases, at least) the housing market is depressed enough that he owes more on the house than it’s worth. The seller is motivated to get out from under the note before losing the house to foreclosure, and the lender is willing to facilitate that sale. In many cases, the borrower may still be on the hook for the outstanding balance after the sale, but not always. 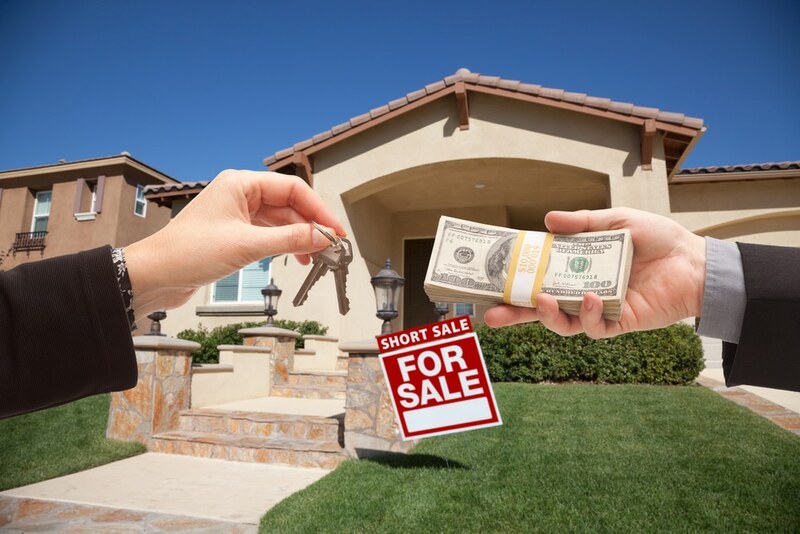 If you’ve been doing a Google search for “short sale homes near me,” bear in mind that you’ll be negotiating with the lender’s loss mitigation department and not much is going to happen without them. You’ll need to be patient through this process and will likely spend quite a bit of time on the phone asking and answering questions from the lender’s representatives (and you may not always get the same answers when you deal with them). Ideally, you’ll end up with a workout packet that will give you all you need in the way of forms, instructions and procedures to close the deal on a short sale. The lender will usually be glad to not have the property in their inventory of bank owned homes, even if means having to take a hit on the monetary value of the home and the note. In addition, the borrower (who’s already a few payments behind and in default) will be stressed and motivated to get out from under the note and move on. Buying foreclosed homes is a bit of a different story. In a transaction like this, there’s only going to be one real estate agent involved in the process, and the seller (meaning the bank) will want a preapproval letter from your lender before the deal can go forward. There will be little room, if any, for negotiation and you will be buying a property that’s in as-is condition (more on that later). If you’re thinking about how to find “foreclosures near me,” your best bet is to cultivate a relationship with a broker or real estate agent who specializes in foreclosures. In many cases, these agents already have developed relationships with banks and lenders and may be in the loop for homes that haven’t even shown up in MLA listings yet. It’s advisable to ask about the property you’re interested in, of course, but you should also see if you can get ahead of any others that are about to make it to sales phase. You’ll also need to have a recent preapproval letter from your lender, based on your income, credit score and ability to pay. Remember that you’re already behind the curve on foreclosures, as the market has recovered in many areas, and a sale on a foreclosed property is likely to happen before you can get your financing lined up. A foreclosed property that’s still on the market means that it’s been sitting for some time, and that by itself can be a red flag. Be mindful that the property you’re considering is likely to have some issues, such as mold, roof or foundation problems, HVAC problems, plumbing or electrical issues, an outdated kitchen or bathroom. You are at the lender’s mercy on this, since there’s no incentive for them to give you a discount on the selling price due to repair or deferred maintenance issues. If you have to dump another $30,000 into that foreclosed or short-sale home after purchase, it might not seem like such a bargain after all. The short sale home, bank-owned property and foreclosure home still represents a good deal in the real estate arena, but remember that it’s not the buyer’s market that it was a few short years ago. Also, bear in mind what you’re getting into with a distressed property so that you actually do come out ahead on the deal. Still interested? Then it’s time to start scouring the listings and find one that you can make a deal on.